The quarterly shareholder letter is not usually the place one expects to find roast battle-style insults. (Well, the corporate version of those takedowns.) But then most companies are not Netflix. Netflix’s letter to shareholders about its fourth-quarter earnings, which was posted Thursday afternoon in advance of the company’s earnings call, was characteristically rife with snubs at all of the traditional media players that Netflix is hell-bent on destroying. Never one for subtlety, Netflix paraded out its most recent victories–all those people who watched Bird Box! Its haul of Golden Globe statuettes!–without ever missing an opportunity to remind everyone who is on the losing side of Netflix’s glorious rise. Wait, there is a word for that, right? Schaden . . . . Oh, never mind. The letter dutifully reported that Netflix had a strong fourth quarter, with subscribers now up to 139 million (1.5 million came from the U.S.; 7.3 million were international)–the company’s biggest Q4 subscriber jump in its history. Revenue for Q4 was up 27% to $4.19 billion, slightly below Wall Street’s expectations, and earnings came in higher than expected at 30¢ per share. Annual revenue increased 35% to $16 billion in 2018, and operating profits nearly doubled to $1.6 billion. Still, due to the soft growth in the U.S. market, Netflix’s stock was down as much as 4% in after-hours trading. The slip comes just two days after Wall Street sent Netflix stock up 6.5% in the wake of Netflix’s announcement that it will be raising prices on all of its plans starting this year. But enough about that. On to the subtle and not-so-subtle jabs! Message No. 1: Take that, studios, agents, and everyone else in Hollywood who says no one watches movies in their living rooms! Message No. 2: Stop saying we’re the home of last resort for projects no one else wants to make. Netflix informed shareholders that its original movie effort is starting to get the same buzz, attention–and viewership–as original TV shows like The Crown and Stranger Things. To wit, it estimates that Bird Box, the film that spawned a bajillion bandana memes, will be viewed by over 80 million Netflix households in its first four weeks on the service. There is also “high repeat viewing” of the Sandra Bullock-starring thriller. Other movies that the company described as recent “hits” include Roma, 22 July, Private Life, The Ballad of Buster Scruggs, and The Christmas Chronicles. Netflix also went out of its way to name check all the directors of these films. Make a movie for Netflix, and CEO Reed Hastings just might mention you in his shareholder letter! Message: We’re the movies’ best friend! Alfonso Cuarón’s Oscar contender Roma was released in select art-house theaters when it premiered on Netflix, both to qualify it for awards this season and please the director. According to Netflix, the film has now, in its fifth week, played on “over 900 unique screens.” That may not be quite the scope of, say, Aquaman. That film premiered on 33,000 3D screens in China alone. But still! The suggestion is that films like Roma are part of why the domestic box office is crushing it. Message: Take that, haters who say that Netflix doesn’t care about the theatrical viewing experience! Message: Take that, Amazon and HBO, which respectively only won two and one Globes! At this month’s Golden Globes, Netflix again killed it, dominating the night with five trophies, including two for Roma (Best Director and Best Foreign Language Film), one for the British thriller series The Bodyguard (Richard Madden for Best Actor in a Drama Series), and another two for the Michael Douglas/Alan Arkin comedy series The Kominsky Method (Best Comedy Series and Best Actor in a Comedy Series for Douglas). Message: Take that, studios, networks, and producers! You don’t want to play ball? No problem. We’ll make our own stuff and destroy you. As Netflix continues to pour money into original content, it says it’s less reliant on licensing TV shows and movies from studios. (Let’s pretend that Netflix did not pay a reported $80 million to keep Friends on its service for an additional year.) Its recent launch into unscripted originals, it says, is especially paying off, with popular Netflix series like Tidying Up with Marie Kondo accounting for more watch time than licensed unscripted series. Message: Take that, (HBO CEO) Richard Plepler! There are many things people spend more time doing than watching Netflix. It claims to account for around 10% of screen time in the U.S. and less than that abroad due to lower penetration rates there. It has a lot of media competition, to be sure. As it notes, “There are thousands of competitors in this highly fragmented market vying to entertain consumers and low barriers to entry for those with great experiences.” But of those thousands of competitors it could have chosen from, even if it didn’t want to say (again) it’s competing with sleep, Netflix just so happened to choose the gaming phenomenon Fortnite and HBO, the company it once considered the standard against which Netflix measured itself. And it did so amid news that TNT chief Kevin Reilly is overseeing programming for the forthcoming WarnerMedia streaming service, not HBO’s Plepler as it had long been assumed. And just as HBO is rolling out a lot of its returning hits and anticipated new shows. So while Plepler appears to be in a bit of limbo, why not give him a shove? Message: Take that, linear TV! Another big hit in Q4 was You, a psychological thriller series from Greg Berlanti, which Netflix picked up from Lifetime. The cable channel cancelled the show after its first season due to low ratings, which opened the door for Netflix. And now–the show’s a hit! 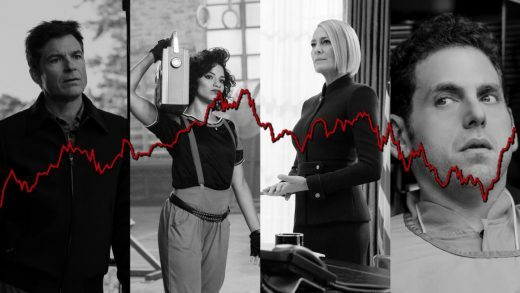 Netflix may have delivered a bit of a mixed bag on its balance sheet, but its acid-tipped barbs well exceeded analyst expectations.